CCA Awards Program-Nominate Someone Today!! The CCA Awards Program recognizes individuals, camps, agencies or corporations. Written online nominations, from any member of the CCA (including individuals) must be submitted by October 31, 2017 for consideration. Once approved by the Board, the awards will be presented by a member of the CCA Board at a Provincial Camping Association’s annual meeting or other suitable gathering. Just a reminder, nominations for a camp or an organization must come from an external source. Please check out the Awards page to submit a nomination or to look up the criteria for the different awards that are presented. The enthusiastic reports and contented faces on tree planters attest to the success of the 2017 CCA Tree Planting Program. Plan on joining this program in 2018 and reap the many benefits for your camp and campers. 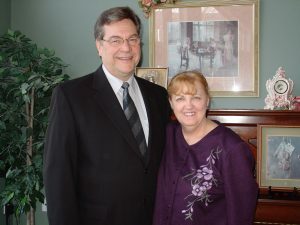 Harry Edward (left) and his wife Gail. The Stillwood Camp and Conference Leadership Board announces that after slightly more than 20 years of successful leadership, Harry Edwards, our Executive Director, has decided to retire from full-time leadership of Stillwood, a 100-acre ministry centre located near Cultus Lake in Southwestern British Columbia. Harry has provided strong leadership, always assisted by the extraordinary contribution of his wife Gail. Both Harry and Gail have obviously played major roles in enabling Stillwood to become the award-winning Christian ministry it is today. 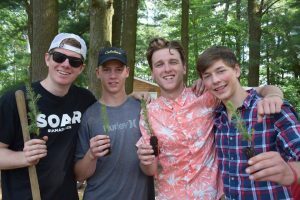 Stillwood now ministers to approximately 3,000 campers during the summer season and many hundreds of guest groups from early September to mid-June. Under Harry’s leadership Stillwood now also offers a variety of specialized weekend retreats and conferences. Harry Edwards has played a major role in bringing Stillwood to a whole new level of excellence and ministry effectiveness. Thousands have benefited from his leadership and hard work. Just as many will long remember the outstanding leadership Gail has provided in food service. The Edwards’ legacy is an impressive one and will be gratefully remembered by many for a very long time. We wish Harry and his wife Gail safe and happy travels as they check off the places on their long bucket list that they wish to visit.